Jeff Dowler offers excellent relocation tips. Jeff is known as The Southern California Relocation Dude and his article leaves no question he's the expert. There are many details to consider when relocating that go far beyond finding a home. Most people who are relocating to an area they don’t know find it to be a tough challenge. This is true even if you know you want to be there, perhaps know people there, and have heard the sorts of things about the area that appeal to you or have been doing some research online – you ARE, aren’t you? While finding the right house that meets your needs and budget is key, I find that for most buyers lifestyle is at the top of the list, which means the community and all it offers is also at the top of the list. For buyers relocating from a distance this becomes a huge challenge when searching for a home online, since you can’t readily explore the areas that might work for you, your lifestyle and of course your budget when you find homes you like online. As you get started you’ll want to give some careful thought to your desired lifestyle and what that really means, as well as the specific needs for your new home. I like to share my Buyers Lifestyle Questionnaire and a checklist, What's Important to You in Your Home Search (FREE Download from my website) as an additional way of helping those of you who are moving narrow down those issues that matter to you so I can better assist in finding the right property and the right community. WHY YOU SHOULD SEE, HEAR, AND TOUCH THE COMMUNITY! Yes, you can learn lot online these days about communities and the amenities they offer. But you really have to see, hear and touch the community when relocating as part of your home search to truly get a sense whether the area meets your needs and feels comfortable to you. This is even more important when moving from an area that is quite different from where you are moving to, say from Boston to Southern California as I did 14 years ago. Talk about culture shock!! But there is nothing like driving through the area, walking the streets and sidewalks, listening to the noises, and exploring the amenities and services close by. I strongly recommend to relocation clients (a big part of my business) that they spend a portion of their house hunting trip here to the Carlsbad area or nearby, before and after we tour homes, driving around and exploring, so they can see, hear and touch the community and experience it in real life, and get a glimpse at the lifestyle they could enjoy. I provide a tour myself as part of my relocation services, but there is no substitute for doing it yourself, in my opinion. Check out the dining options – if that’s important you might want to do some tasting, too! Only then can you really know that the house (or houses) you like are in a community that appeals to you and your lifestyle and needs. NEXT STEPS IN YOUR RELOCATION? Give me a call at (760) 840-1360 so we can talk about your move, your needs, concerns and questions, and how I will help you in your relocation. Need some tips on moving to the Carlsbad area? Check out my Relocation Tips and Advice video series playlist on my YouTube Channel. You can search the complete inventory of homes for sale in Carlsbad by clicking on the photo to the right, and then check out other areas, too. I can also create a custom search for you based on your specific criteria and budget – let’s talk soon! 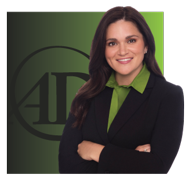 What Is Dual Agency In Virginia?